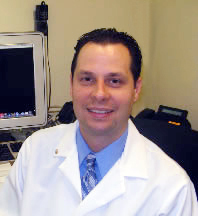 Christopher Hess, MD started his Clinical Motor Physiology Fellowship in July 2011. He completed his undergraduate studies in Biopsychology at William Paterson University and obtained his medical degree from Albert Einstein College of Medicine. He interned in medicine at Beth Israel Medical Center and trained in neurology at Columbia University Medical Center, where he served as a Chief Resident in 2009-2010. He was the Parkinson Disease Foundation (PDF) Ronald Konecky Fellow in Movement Disorders under Stanley Fahn at Columbia University in 2010-2011. A board-certified neurologist, his research interests have included the relationship between movement disorders and substance abuse and are now focused on clinical motor physiology in the quantification of movement disorders.